A beautiful and highly individual house that steers clear of ostentatious luxury. 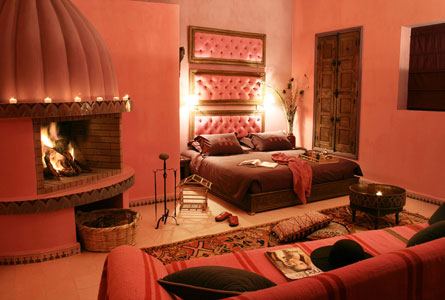 This fine residence on the outskirts of Marrakesh was created by the architect Abderrahim Charrai, winner of the Aga KhanPrize for Architecture. 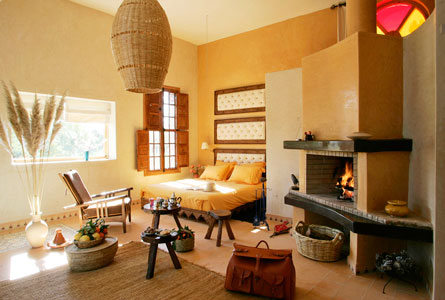 Combining modern comfort with work by local craftsmen -- Tadelakt coated walls, terracotta pillars, clay facades, traditional "zellij" for the floors and cedar woodwork -- the property also benefits from a beautiful layout. Items collected by the owner -- a gallery owner and true art lover -- add a touch of sophistication. 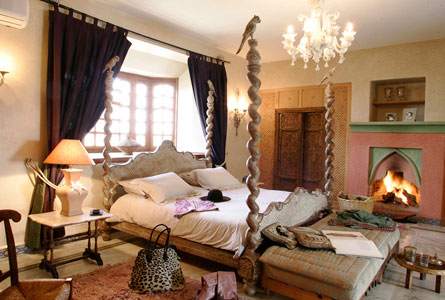 The suites and guestrooms of the house are all different. Each has its own striking colors and atmosphere, allowing you to enjoy true serenity. Outside, there is a 16 x 8 meter swimming pool and one for the kids, as well as a large garden to wander through: 3 hectares of lawns and orchards. If you want to meditate and relax, there's a traditional Andalusian patio with a fountain bathed by the scent of orange blossoms. For well being we offer Argan oil massage, or traditional henna tattoo. Elsewhere, you'll find a large lounge library with stereo, a dining room with open fireplace and guarded car park.Finally, the hotel provides wonderful gourmet breakfasts, tapas, and dinners by candlelight. 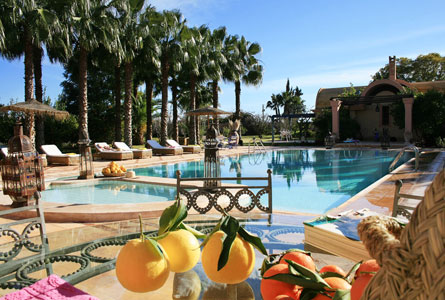 The Villa is located on the Souihla Road, twelve kilometers from Marrakesh downtown or 15 minutes by car or taxi from the city center. Explore historic mosques, gardens and palaces.